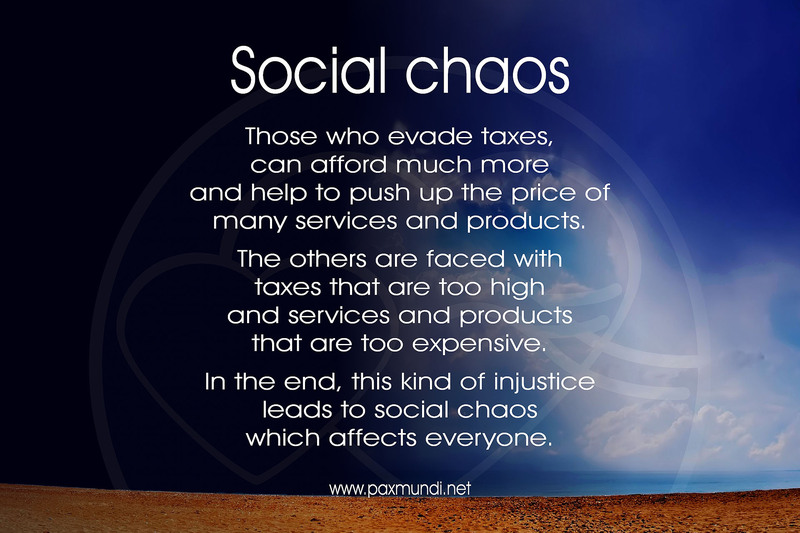 Those who evade taxes, can afford much more and help to push up the price of many services and products. The others are faced with taxes that are too high and services and products that are too expensive. In the end, this kind of injustice leads to social chaos which affects everyone.